﻿ John Bryan State Park Campground - Ohio. Find It Here. John Bryan is the most scenic state park in western Ohio. The 752-acre park contains a remarkable limestone gorge cut by the Little Miami River which is designated as a state and national scenic river. The parks wooded campground offers a total of 61 single campsites (9 electric, 52 non-electric). 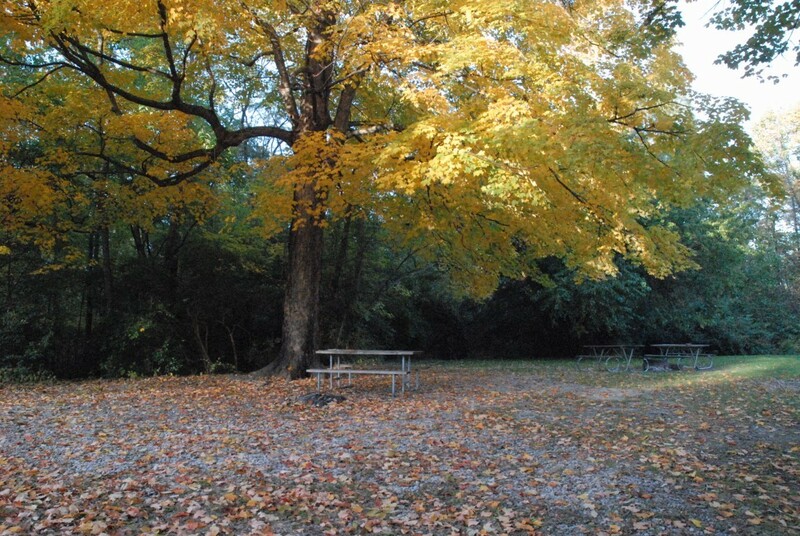 Most campsites are partially shaded and are equipped with picnic tables and fire rings. Latrines, drinking water and a dump station are available. Pets are permitted on all sites. Drinking water is not available during off season. One 100-person group camp area is available for organized groups on a reservation basis. Two adirondack shelters are available in the group camp area. Park has hiking and mountain biking trails, a rock climbing and rappelling area, and disc golf. Excellent stream fishing. Latrines, drinking water, dump station. Pets allowed. Picnic tables, fire rings.